A Vietnamese merchant ship was saved from robbery or kidnapping recently thanks to the Malaysian Eastern Sabah Security Command (Esscom), according to the country’s Bernama News Agency. 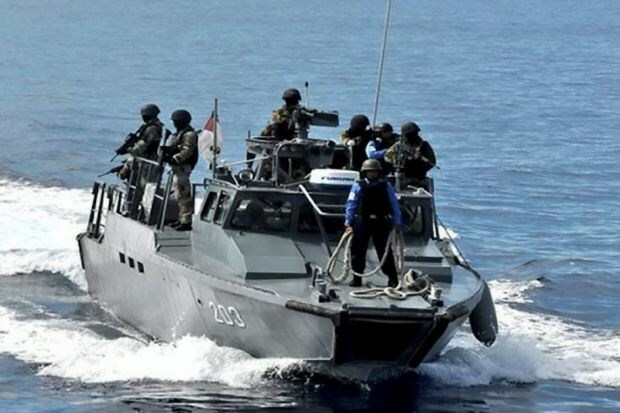 Esscom Commander Wan Abdul Bari Wan Abdul Khalid on March 7 said emergency signals were sent by vessel MV PHU AN 268 of Vietnam when it was passing through waters off the Boan Islands of the Philippines. According to the commander, the ship’s captain reported that he spotted a strange boat with six people on board following his vessel, then he increased speed and changed course toward Malaysian waters. After being informed, Essom sent a Viper patrol ship and a KD Sri Tiga high-speed boat to Malaysian waters bordering the Philippines, where they found MV PHU AN 268 and safely escorted it to Sandakan in Sabah State.